cbupdater.exe is a legitimate executable file developed by ZTE Corporation. This process is known as CMUpadater.exe and it belongs to T-Mobile Mobile Broadband. It is commonly stored in C:\Program Files. Cybercriminals find a way out to mimic malicious programs in the name of cbupdater.exe to spread malware infection. How to detect whether your system is affected by cbupdater.exe? Go to the process tab and right-click on the cbupdater.exe file and open its location. If the file is located outside C:\Program file, then you should perform an antivirus scan to get rid of the malware infection. How does Comodo Antivirus help you to protect your system from cbupdater.exe malware? 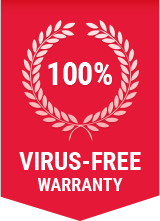 Comodo Antivirus protects your system from malware attacks and also removes any existing infections. Following are the steps to effectively purge out the cbupdater.exe malware from your system. Step 7: If the system is infected with cbupdater.exe malware or any other threats, you will be prompted with an alert screen upon scanning. Step 8: Comodo Antivirus will remove cbupdater.exe malware from your computer including all other malwares!